You can only have one active bounty at a time. 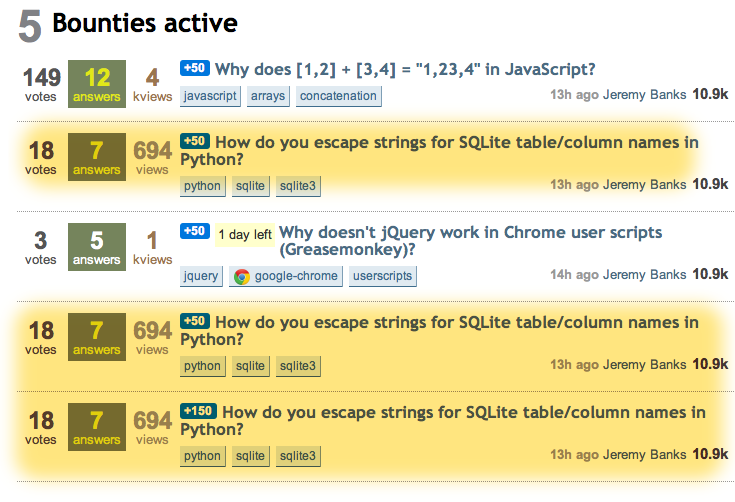 You can post multiple bounties to one question, sequentially. Note that you have 2 active bounties - the one which really is active, and the one you previously awarded and is not active. 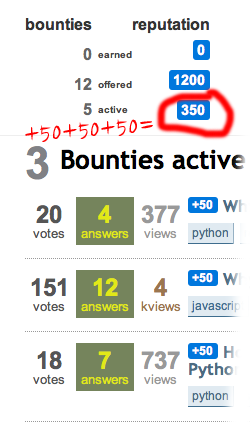 The screenshot below demonstrates this for 1 active bounty and 4 prior awarded bounties posted on the same question. In the next build, since you can only have one bounty active at a time, we'll show only the latest on that question...which is the correct data on that tab. 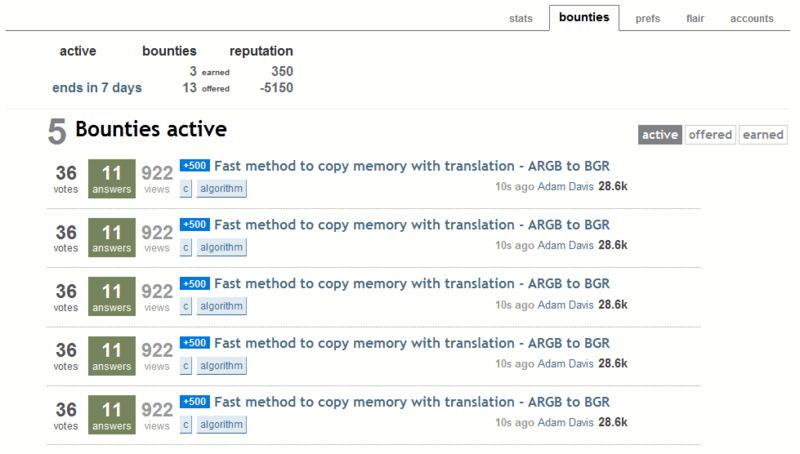 This bug seems to have returned when multiple simultaneous bounties were enabled.